The flow of electrons from one place to another is called as Electricity. Electrons can flow through any material, However electron flow is easy in some than in others. How simply it flows is termed as "Resistance". The resistance of material is measured in Ohm's.
. Conductors: The substances in which the electrons can flow easily. They offer low resistance. 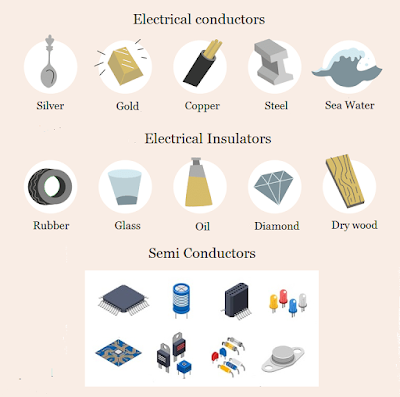 Ex: Copper, Aluminium, Gold , Silver, Mercury, Sea water, Concrete, Steel, Iron.
. Semi-conductors: A substance, usually a solid chemical compound, which can conduct electricity under certain circumstances. 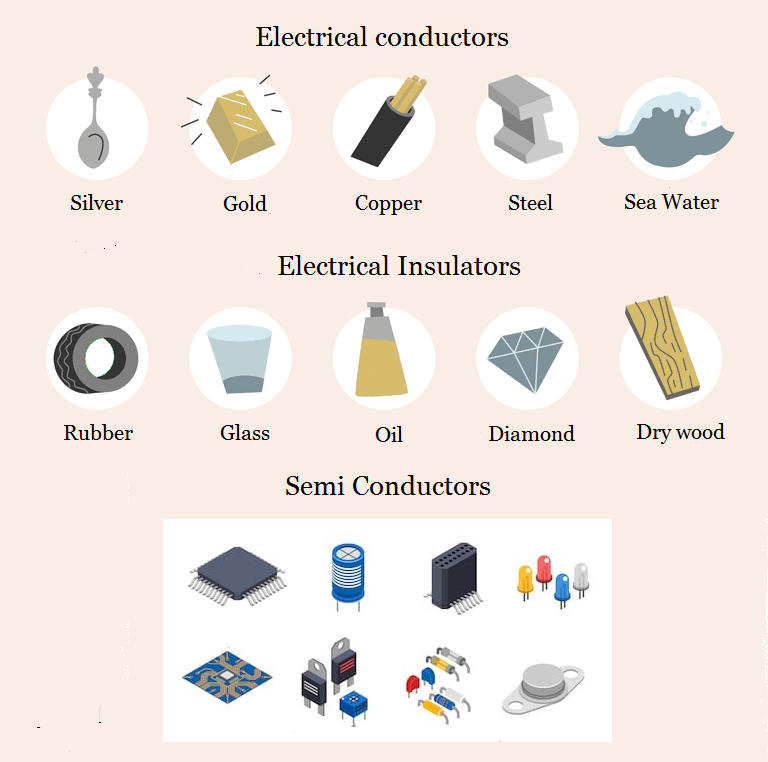 Ex: Silicon, Germanium, Antimony, Arsenic, Boron, Carbon, Selenium, Sulfur, and Tellurium.
. Insulators: The substances in which electrons flow with great difficulty. They offer high resistance. Ex: Pure water, Glass, Air, Dry Wool, Dry Wood, Plastic, Rubber, Diamond, Asphalt, Oil, Ceramics, Quartz.